State lawmakers return this week from a month-long break with hopes of passing a new road funding plan. Action on road funding has been stalled since July when lawmakers left Lansing for a month-long break. That’s after after the state House declined to take up legislation that was narrowly approved by the state Senate. Leaders in the House say talks have been ongoing. “We’ve done a lot of work behind the scenes trying to whittle down our options,” said Gideon D’Assandro, a spokesperson for state House Speaker Kevin Cotter, R-Mt. Pleasant. But there are still many details to finalize. The target is to increase road funding by $1.2 billion. Half of the money would come from raising taxes or fees. The other half would come from shifting money from other areas of the budget. Everybody gripes about Michigan's potholes. 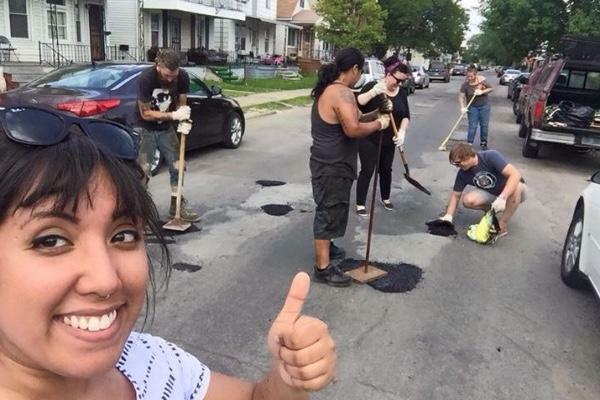 But in Hamtramck, a group of friends is raising money to fix their roads themselves. More than half of Detroit, Flint and Grand Rapids' roads are in poor condition, according to a recent study by the transportation research group TRIP. That makes them some of the worst in the nation. A union-led petition drive is trying to increase the state’s Corporate Income Tax rate from 6% to 11%. The revenue would be used to fix roads. 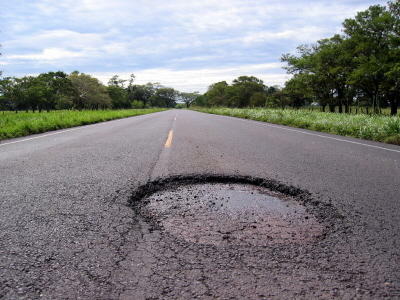 Increasing the rate by 5 percentage points would generate about $900 million a year toward Governor Rick Snyder’s goal of $1.2 billion in new revenue for road repairs. It would also be a major change to the 2011 business tax overhaul engineered by Snyder and Republicans in the Legislature. So, there’s definitely no deal on road funding. The state House and Senate floor managers have let it be known there will be no attendance taken and no roll call votes this week. After that the Michigan Legislature is on a break until mid-August.